Welcome to the un-event of the year! Kicking off a line-wide adventure, DC's Young Animal collides with the DC Universe to bring you a different kind of crossover. 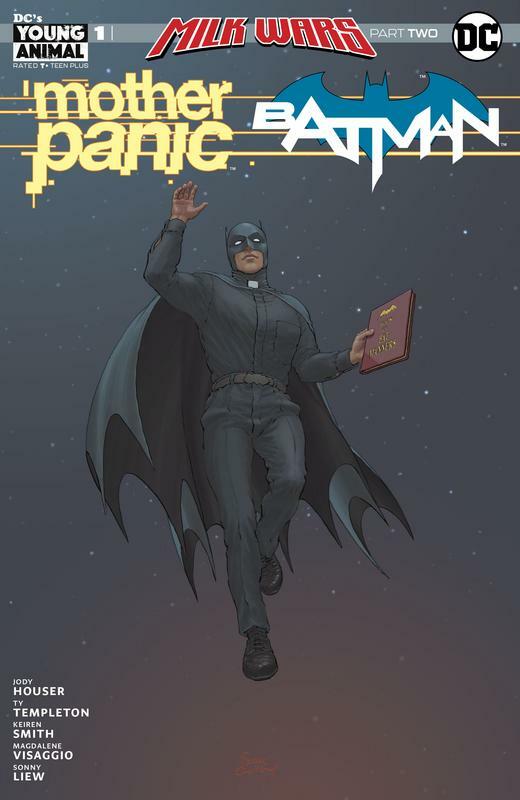 The Doom Patrol has discovered that an interdimensional corporation called RetCo has been stealing stories, reconfiguring them and repackaging them for new markets. Our gang of misfit heroes have felt the touch of this nefarious company, and it has already started to change them. 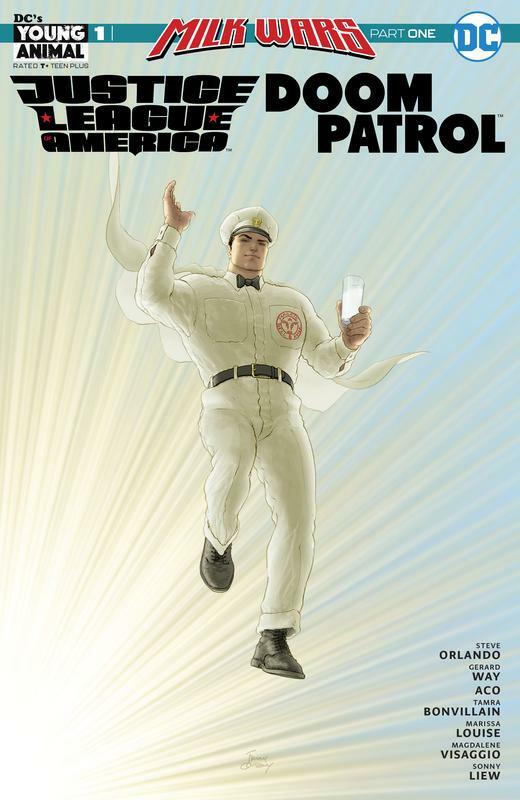 Even scarier, though, is how deeply RetCo has embedded itself into current continuity, using the radioactive milk of psychic cows to quell the more dangerous impulses of the Justice League and turn them into heroes safe for the masses. And to kick this off, RetCo has gone all the way to the top.